The market for unified communications technology has been expanding at a steady clip for years now, and according to current research, that growth isn't poised to slow anytime soon. Global Market Insights found that the global UC market is on track to reach $96 billion within the next five years, expanding at a 13 percent CAGR during that period. When decision-makers look to investigate the advantages of UC systems, the discussion typically revolves around the benefits for internal users. After all, a unified suite of communication and collaboration capabilities can enable boosted efficiency and productivity alongside improved data security. At the same time, however, it's also crucial to consider the benefits that UC can provide for the business's clients, especially when it comes to the overall customer experience. Amazon CEO Jeff Bezos famously discussed the growing importance of the customer experience (CX), noting that priorities will shift in the recent future. "In the old world, you devoted 30 percent of your time to build a great service and 70 percent of your time to shouting about it," Bezos said. "In the new world that inverts." In other words, while marketing efforts will still be essential, more of a business's focus will be on its offerings themselves, the ways in which these provide for customer demands and how they support this experience. "By 2020, customer experience will become the most important brand differentiator." In addition, research from Walker found that by 2020, the customer experience a business can offer will become the most important brand differentiator – more critical, even, than the product offerings or price points. One critical way to improve the customer experience is through the use of advanced communication solutions that map to client preferences and address current needs. Rising needs for a beneficial experience aren't the only service elements that are changing. 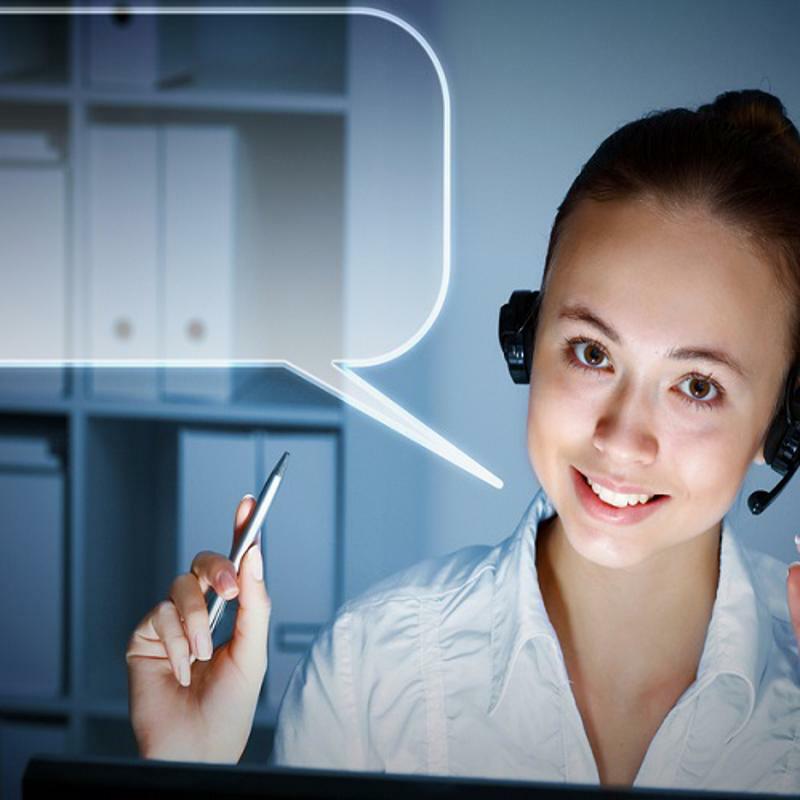 Not long ago, the company contact center's main channel was traditional telephone calling. And while VoIP and the ability to speak to a service representative will still be important today and into the future, customers are increasingly seeking other self-service channels to have their questions answered and demands resolved. As CEB contributor Lara Ponomareff pointed out, a rising subset of clients actually prefer to avoid interactions with company agents, figuring that the process will be faster and simpler if they do it themselves. CEB research even found that today, the majority of customers' initial touchpoint is the business's website and self-service options found there. "[T]hese customers actually rarely find additional value in talking with a live person," Ponomareff noted. A robust UC suite can provide just the tools these customers are looking for. From instant messaging to email, UC technology can enable clients to get the answers they need without having to speak to a service agent. Some, more complex customer interactions might require the use of multiple channels in order to resolve an issue or process a transaction. A return, for example, might involve an initial VoIP call to the contact center, with the support of an emailed image or even a faxed invoice. This is another situation that calls for the use of a robust UC system that can offer several different touchpoints to map to customer needs. As this blog post points out, returns aren't the only time clients may look to take advantage of multiple, different touchpoints to support their experience. Customers may need to reach out to the brand before, during and even after a purchase, and UC technology can be of great benefit to both internal staff and external clients throughout the customer journey. For instance, many brands have found considerable success with follow-up messages after the completion of a purchase – these can help breed brand loyalty, not to mention support a beneficial customer experience. Unified communications don't just benefit internal users – this technology is also an important part of providing a winning customer experience. What do your customer journey maps tell you? Customer journey mapping has become an essential initiative for ensuring that clients have all the tools they need for a winning experience. As the name suggests, this process includes mapping out all the touchpoints customers leverage during their journey – from the brand website, to the contact center and beyond. Leveraging these journey maps could offer key insights about the places in which the customer experience might be lacking. For instance, if maps show low levels of engagement or high abandonment on the company website, adding live chat could be just what's needed to address and fix these issues. Overall, UC technology has been touted as a must-have for the contact center, and current statistics certainly back this up. According to one provider, contact centers with UC solutions in place had a 30 percent higher customer retention rate, a more than 25 percent higher customer satisfaction rate, and an 18 percent higher first call resolution rate. Robust UC capabilities are essential for supporting a best-in-class customer experience, and can even help organizations differentiate themselves in their marketplaces.